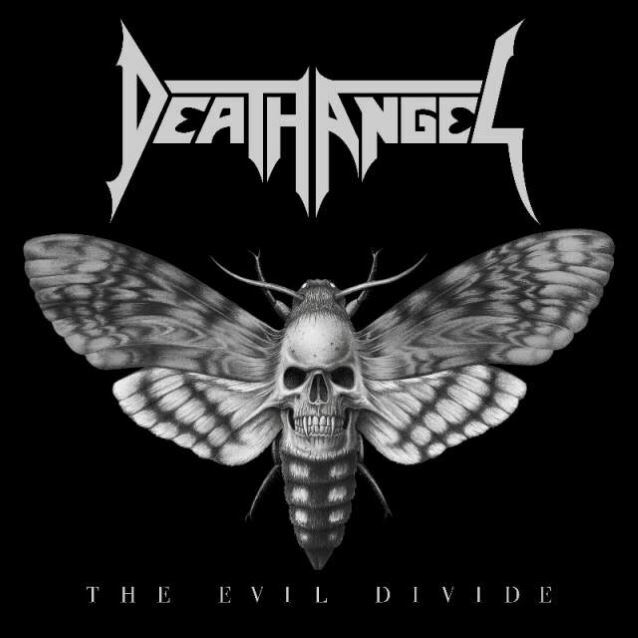 San Francisco metallers DEATH ANGEL have set "The Evil Divide" as the title of their new album, due on May 27 via Nuclear Blast. The CD was once again recorded at AudioHammer studios in Sanford, Florida with producer Jason Suecof, who previously worked on 2010's "Relentless Retribution" and 2013's "The Dream Calls For Blood". Mastering duties were handled by Ted Jensen at Sterling Sound in New York City. Songtitles set to appear on the effort include "Father Of Lies" and "Lost"
DEATH ANGEL vocalist Mark Osegueda told SFWeekly.com about working with Suecof again: "It's the third time we've used him, and we couldn't really be happier." He continued: "This time, all the music was written and lyrics were written with the exception of one song, which I purposely saved to write on the spot. "Sometimes you can get a great vibe from a studio and draw inspiration from that. That song came out great. Mark added: "It's got the aggressiveness of the last two records, but our songwriting has improved dramatically. Really, it sounds like DEATH ANGEL should." Osegueda told Rock Hard magazine about DEATH ANGEL's mindset going into the songwriting process for the upcoming CD: "When we started working with Jason Suecof for the last two records, 'Relentless Retribution' and 'The Dream Calls For Blood', we thought we were gonna do two records intense like that and kind of go back [to the more] melodic [direction of 1990's] 'Act III', but the last two records, we've been loving so much writing that style, and the crowds have been enjoying them so much. "In our minds, even if we think we're being more brutal than we've ever been, it's inevitable that we are obsessed with melody, so there's always gonna be melody that separates us from, say, different thrash bands or extreme bands, because we always veer to a melody and catchy hooks. No matter how brutal we think we're being, we like to throw in hooks, so we're just gonna carry on how we're doing now and try to pick as many of the young punters there and keep our stronghold on the old punters." 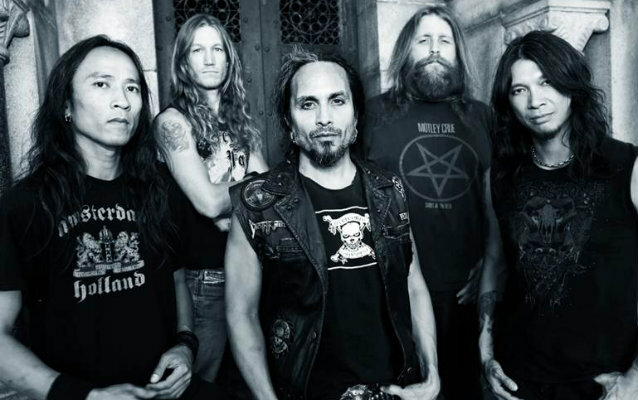 DEATH ANGEL released "A Thrashumentary" in July 2015 via Nuclear Blast. The DVD was directed, shot and edited by Tommy Jones (KATAKLYSM, SOILWORK, LAMB OF GOD, CARCASS, TESTAMENT) of Videohammer Studios. The release also includes a full live album titled "The Bay Calls For Blood".